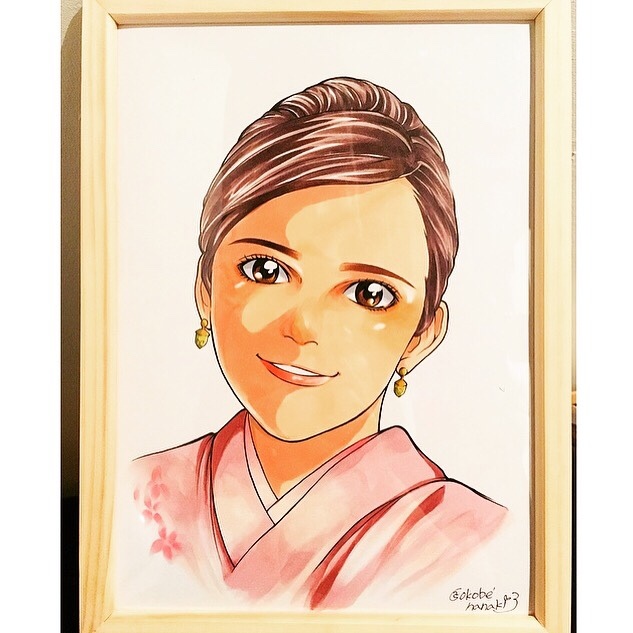 Japanese portrait artist draws your portrait in the Japanese manga/anime style! - JAPAN COLLECTIONJAPAN COLLECTION Japan Collection est une plateforme de réservations pour réserver directement des services de haute qualité professionnelle, effectués par des prestataires japonais, exerçant en France et proposant des services variés sur toute la France. 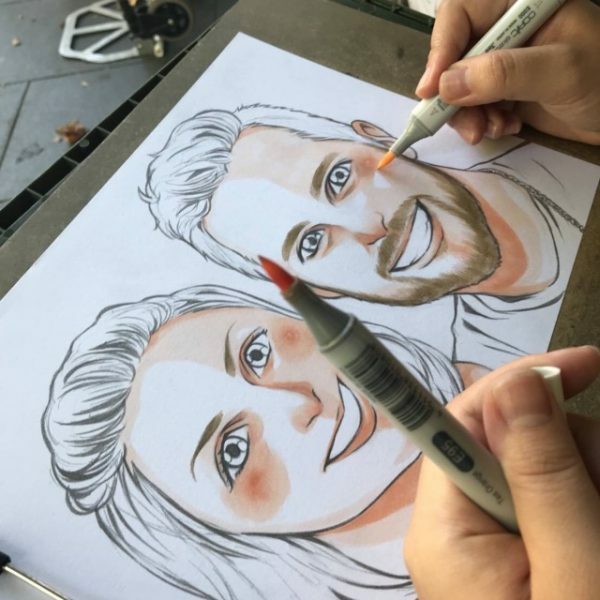 Accueil / DESIGN / Japanese portrait artist draws your portrait in the Japanese manga/anime style! Japanese portrait artist, Nanaki Okobe draws your portrait in the Japanese manga/anime style! For more information about Nanoki Okobe, please check our platform ! Drawn with a special black/brown pen. – You can have a portrait together with your favorite manga or anime’s character, with your pet, or even with your whole family ! ※ The portrait will be framed, and sent by post. Here is an example of a “full color” portrait. -Messages like Happy Birthday and your name with a black pen : Free. -Messages like Happy Birthday, your name, desolations like hearts and stars with color pens : Additional fee. Please ask us more informations. -If you cancel your booking within 24 hours of purchase, you can get a full refund. -100% of your total amount will be charged if your cancel is more than 24 hours after after your payment/booking. -Messages like Happy Birthday, your name, desolations like hearts and stars with color pens : additional fee. Please ask us more informations for options. 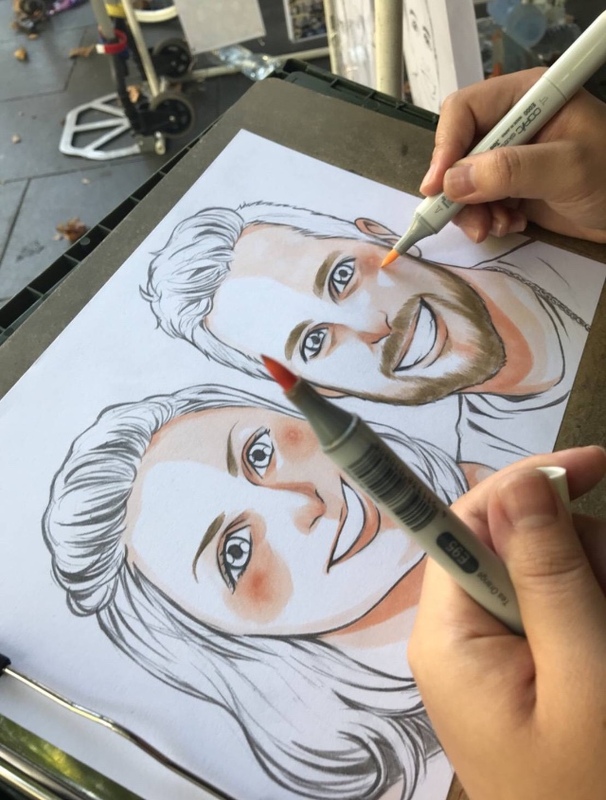 1 review for Japanese portrait artist draws your portrait in the Japanese manga/anime style!